RoZoYo Yoga & Astrology Workshop is coming to Freeport Yoga Company on Bow Street in Freeport, Maine on March 22nd to celebrate the change of season. Learn postures that relate to each sign of the zodiac and get a gallery style reading for spring's eclipses, Saturn retrograde, and a peek ahead at summer! All are welcome, even if you've never taken a yoga class, you can participate fully! I am looking forward to returning to FYC where I did this workshop last July! Capricorn energy in the air as the Moon moves to the goat's sign at 8:50 am ET after a few void of course hours. 4:25 am to 8:50 am ET (adjust accordingly for time zone) are spacey hours and the morning may be groggy causing missed appointments or alarms that don't wake you. Have a back up. Our dreams and daydreams can lead to something tangible on days like this. Follow an interesting idea with a bit of construction and see if it can be built on. Neptune provides imagination and the Sun gives optimism, both from versatile Pisces. Venus, planet of relationships and harmony, works with Saturn in Scorpio taking off some of the heavy influence and leading to potential agreements and solutions. With less than a week of Mercury retrograde, form a plan you can start after Friday! Or begin now with a trial run and review how you and a partner are doing, in work, love, or cohabitation, once the retrograde is done, perhaps in two weeks. Today looks like a window of opportunity. Use Capricorn ethic and reorganize to make things fit or function better. They may even look more visually appealing in the process. Today's color is green. The Moon meets Pluto every month and this is that day! Facing fears is one effect. Dealing with deeply rooted feelings and also undercurrents are two more! As you do this, know that Saturn is at work again today, with the Moon, continuing work on relationships and partnerships with a serious sense of what's right and even "grown up". It might be useful to ask what your father or grandmother or other wise counsel would say and then decide what you think about that. Or actually ask an elder or authority for some guidance. Jupiter in Cancer is a healing force bouncing energy over to the Moon in Capricorn and even those of us less tuned in to emotions may have feelings come up that can't be denied or easily detached from. It's a giving opposition in the sense that compassion and nurturing may increase where it's lacking or latent. Another effect is noticing where we are overcompensating or need to scale back on anything that's getting too large, from our food consumption to "the drama" or spending habits. Cancer is rooted in home. Capricorn is rooted in career. Do they need to be brought into better balance? Aries and Libra may especially know that this is the year for that. The Moon & Venus favor both romance and the practical aspects of relationship tonight. Wear blue today. Jupiter square Uranus leads to a sense of urgency. These two very different planets in radically different signs create tension that could result in sudden inspiration or strong intuition with a feeling that taking immediate action is necessary. Keep Mercury retrograde in mind and take a breath or several before you rush into anything. Mars in Libra is also exerting influence with a square to the Moon. If you're trapped by idealism and unable to make a decision because conditions haven't been exactly right, Jupiter and Uranus do create breakthroughs though they may be chaotic at first. Whatever feels urgent, make sure you have reasoned and are on a balanced path. The chance of creating more problems than you want is present, so take care with judgment and reasoning. Capricorn and Cancer, the Moon and Venus are favoring your relationship this week. Take positive steps around commitment and also how you feel about yourself, which also positively impacts your relationship life. Expect tension between what creates accomplishment and success and what fosters good health and strong relationships. They don't have to be in conflict, though sometimes it seems so. Think out of the box, avoid being defensive or impulsive. Did I mention the Moon moves to Aquarius at 9:55 am? Today's color is turquoise. Aquarius is the sign of technology and progress, ruled by Uranus the rebel planet. We are about to leave the Mercury retrograde zone and great ideas are in the air. Take your time with them. There's a New Moon on Saturday for fresh starts and moving forward. Work with plans and ideas flexibly and creatively, with an eye toward what's original, colorful, and extends beyond the norm. Just don't rush anything or put the final details in place. Leave room and a bit of time to refine. Mercury is sparking energy for projects or plans once left behind. Mercury retrograde's inventive quality in Aquarius can be an advantage to engineers, designers, and those who work in sciences and technology. Ideas for improving on a system or design may just come as flashes of inspiration now! Do invent a new way to communicate. Do not buy gadgets that you think will help with communication. That's the difference between using Mercury retro to an advantage or creating Mercury retrograde frustration. Leave the purchases for another time. Soon. One final note: Opinions will be very stubborn, especially tonight. A debate is probably not worthwhile. Today's color is silver. There's much good fortune, optimism, and potential for health and home help and upgrades as the Sun and Jupiter align in Pisces and Cancer. Your ship could come in! All signs benefit. Seek support, health advice and other solutions. It is the last day of Mercury retrograde, in fact that's done with at 9 am, and considering other aspects, this may be a more favorable last day than usual. There's a New Moon tomorrow to really make the assist in things coming together. The stars are aligning, as the phrase goes! Intuition will be very strong. If it sends you a red flag, do wait things out and play it safe. If the green light feels right, go! A bit of caution won't hurt, but do not let opportunity pass by. This is especially true with money and work for Aquarius and Gemini, other financial matters for Leo and Sagittarius, personal decisions for Pisces, career and recognition possibilities for Libra, and health matters for all. Another void of course Moon, during similar hours to those earlier in the week, is in effect from 5:55 am to 9:53 am when Pisces Moon lands until Sunday morning. This is a Moon of forgiveness, compassion, adaptability and artistic sense. Tonight, attend music and art events, be the performer, find relaxation, and foster peace within. Wear green today. The New Moon times nicely now that Mercury retrograde is over. At 11:23 am ET, Moon and Sun together are supported by Pluto, Jupiter and Saturn for a wide range of positives. Health is one area to really focus on improvement and getting answers if you need them. Saturn in Scorpio and Pisces New Moon relate to mental health and reproductive health and anything related to the feet. It's a better time to schedule appointments and get clear information all the way around. Mars retrograde begins so soon after Mercury direct, but it doesn't affect life the same way so don't panic! Communication is better now and technical issues are not as likely. How we handle strong emotions like anger is up for review. Have an outlet if you are prone to temper flares and might regress. Mars in Libra is sort of passive and passive aggression may become evident. Mars is retrograde until May 19th. It's not good to let things build up now. Try to have someone you can vent to when the going gets tough this season. Today's New Moon is very inspired, creative, giving, spiritual and healing. For Virgo, relationship benefits and for Scorpio it may mean budding romance. Taurus, new friends become close friends and friends play an important role this month in particular. Gemini, this is a career Moon for you to take advantage of and seek the job or role you desire. Today's color is light blue. Mars is retrograde, joined by Saturn retrograde today. Oh goodie, you may be saying! Indeed some things will move slowly for a period of time. This is not about communication glitches and misunderstandings so much as halts and holds on things like building and legal proceedings. Mars is square to Venus in Capricorn. Expect power issues in close relationships to come to the forefront. Venus in Capricorn likes to direct decisions and movement forth in partnerships while Mars is indecisive or impartial and could be keeping score in the sign Libra. The tug between thinking things over for a while versus getting right into action on partnerships matters is strong today. You'll notice how differently you and a partner think if this is impacting you, Libra, Aries, Cancer and Capricorn especially. Pisces Moon is void of course from6:04 to 10:40 am ET, and then the impetuous Aries Moon takes over. On the heels of yesterday's New Moon, the urge and reason to get things in motion is strong, from exercise plans to business plans. With Saturn retrograde one issue can be a loss of boundaries so don't say yes if the answer is really maybe or should be no since you will be expected to follow through. Saturn is retrograde until July 2nd. Today's color is white. The Moon is void of course from 12:04 am to 1:23 pm ET. Allow yourself a slow, simple start to Monday since those hours are not the best for business or giving definitive answers. Diplomatic is a good word for Libra Moon time beginning at 1:23 pm through much of Wednesday. If you have to be a bit evasive, do so. Mercury retrograde was in harmony with Mars yesterday and will make waves with this Libra Moon on Wednesday morning and justice is the goal. Discuss what's fair and maybe give something a trial run in the name of equal responsibilities or better balance, yet without any promises of permanence. Attend to things you've agreed to and prepare for what you think might transpire this week. Revise plans as needed. Work as partners. Enjoy life with a best friend or lover. Today's color is lavender. The Libra Moon is all stirred up in what might be an old, familiar and not necessarily welcome pattern. Career, family, fairness are some hot spots and whatever you've been dealing with in that arena since October is triggered this week. There's also a chance of news you hadn't heard and reasons to restructure plans with Libra Moon opposite Uranus. It's not always our favorite opposition since it can throw things off that you hoped were on track or add some chaos to already existing situations. Seeking some peace at least within yourself helps and Pluto gives a reason to do so. Once you have some resolve you can deal with others, especially related to family, health or expansions in progress, more sanely. The Sun shifts to Pisces at 12:59 pm ET and Pisces birthdays begin, along with the last phases of winter season. Today's color is light blue. This square between the planet of maturity and the planet of communication repeats due to the retrograde. It occurred on January 25th too, and attending to business from that time, or having to redo or revise something created or agreed to then, is likely. You might consider it a real pain or problem that seems to have no answer, but Saturn challenges us to do a better and more thorough job now. Be extremely meticulous and thoughtful with anything signed or put in writing (or if you can put that off until March 1st, buy time). On the upside, a much better plan could be found now and temporary agreements are best. The Moon meets Mars and confronting our own or other people's expectations and emotions results. Per usual lately, fairness is a major consideration to settle everyone down if things are contentious or unresolved. Detaching and being more objective is best. Mercury and the Moon align for friends reconnecting with lots to catch up on. The Moon is void of course 4:52 pm until 10:33 pm. No shopping during those hours! You'll change your mind later if you do, so make sure you have the right to return and exchange. Sagittarius, be diplomatic with friends and people you are around frequently. Libra, Aquarius and Aries, you're likely to be reestablishing contact with someone or having them seek you out. Leo, for you that includes a former lover or partner. You can always decide whether you want to resond or just let it go to voicemail. Today's color is yellow. The Scorpio Moon is agreeable with the Pisces Sun and planets in Capricorn. This can have a soothing effect in any area of life from health to our confidence and belief in what we can accomplish. Scorpio is an organized sign and today could be used to rearrange and reorder things to function more efficiently. Go over details that were left a little loose and refine. Tomorrow is full of seriousness and perhaps you can do something as a precursor, to prepare well for anything you suspect or know is coming. Some solitary time can go a long way, for focus, clearing the mind, or just turning down the volume. Virgo and Scorpio may agree upon that and find quiet space. Capricorn you may be in a more collaborative mood as long as you don't crowd each other. Pisces, your mind is wandering because your body wants to. Could you get away sometime soon and refresh your outlook? Today's color is indigo blue. The Moon and Saturn mean business in Scorpio. Our best plan is to take people and situations seriously, not ignore a problem or a person, and try to do the best thing knowing that Mercury is retrograde and it may not be the time for a permanent plan. However, if you get a chance to resolve something long in the works, do not pass up the opportunity. Just understand what you're agreeing to and go over documents with a fine eye for detail. If you can put off a signing until March that's even better. This Saturn pattern means home and family things for Leo, communication and family as well as educational matters for Virgo, and for Libra and Aries, financial considerations and possibly legal or partnership ties for Aries too. Taurus, reconsider a life decision with your significant other if that's what's been recurring for you. You don't have to decide now so much as be open to possibilities and reworking. When the work day is done the fun can begin or at least some time to focus on your own priorities as the Moon is void of course at 5:10 pm and business is not recommended. Relaxing is. Sagittarius Moon weekend ahead so you may want to rest up! Today's color is black. Sagittarius Moon could be a mischief maker, if not a trouble maker, today. Squaring the Sun and Neptune and aligning with Uranus. Surprises are in store. Make sure you're not being sweet talked or deceived even. There's an atmosphere of illusion, a fast pace, and maybe something adventurous or magical. However, keep your wits about you and don't get so caught up in the glamour that you become vulnerable to con artist type behavior. Artistically, philosophically and globally, interesting experiences are set up by the Sagittarius Moon and Pisces energies today. Wear purple. The Moon is in Sagittarius and there's a continuation of yesterday's Pisces action. The Sun and Neptune meet for great creativity, self expression, the ability to morph and transform. A chameleon like nature is at work. This helps us adjust, blend, and adapt. The Moon aligns with Mercury and things you wish you'd said or heard in the past come up for possible airing out now. We'll lean to the emotional sides of our personalities, what ever they may be. Today's color is turquoise. Mercury retrograde and Neptune in Pisces are in harmony with the Cancer Moon. This is a highly creative and intuitive influence on us. Go with a hunch. Consult the cards, your chart or whatever your oracle may be for insights! It's a great day to get a reading, pamper yourself or someone else, make art and music, and take care of things at home. Projects where you can channel your talents, including home and work space or any kind of design, and with the retrograde even repurposing old items, are all favored. The tone is also sentimental and it's a good time for getting back in touch or seeking forgiveness. Cancer Moon always tends to be home and family oriented. Give some attention where it's needed most. Make things more beautiful and comfortable. Tonight the Moon squares Uranus. Stay out of a battle of words that's likely to get you nowhere. Today's color is silver. The Moon meets Jupiter to set up the day. Together, they are healing and beneficial, favoring love, growth, and prosperity. Oppositions also dot the day so try to stay with the Jupiter influence and take opportunities to learn, be challenged positively, and nurture something or someone that's worth your energy. Remember not to allow others to overstep boundaries during this vulnerable Mercury in Pisces time, however. Pluto and Venus are opposite the Moon putting relationship and our deepest fears or secrets front and center. If you're hiding something important, it may be time to come to terms with why or you may be confronted by a significant person even if you're hoping not to examine this. The Sun and Saturn for a stubborn square as we begin the Full Moon warmup. Ideally this leads to progress with long standing problems, but it's work for sure. The Sun in Aquarius can be good for team efforts. Get some supporters on your side if you're dealing with transition, process, darkness or depression. Or maybe help someone else do that who would not request help otherwise. Today is full of varied aspects from very hopeful and positive to very tricky. Cancer Moon finds us sensitive so it's best not to push others too hard. Put things out there, be honest, and then let them marinate for a while. Mercury retrograde is not the best time for what you hope to be a long term decision or for the final word. Today's color is white. There's a lot going on! The Moon is waxing and moves to Leo the sign of Friday's Full Moon. We are in the Full Moon aura now and peaks, conclusions, and things amping up generally is to be expected. The Moon is void of course after squaring Mars in Libra at 5:51 am and that can be a real test especially if you're creating or involved in imbalanced relationships, unresolved family matters, and anything contentious. From 5:51 am to 2:15 pm when the Moon is void of course, play it very safe and conservative in every way except with creative license! The Moon moves to Leo at 2:15 pm and the afternoon and evening is more solid and more social. 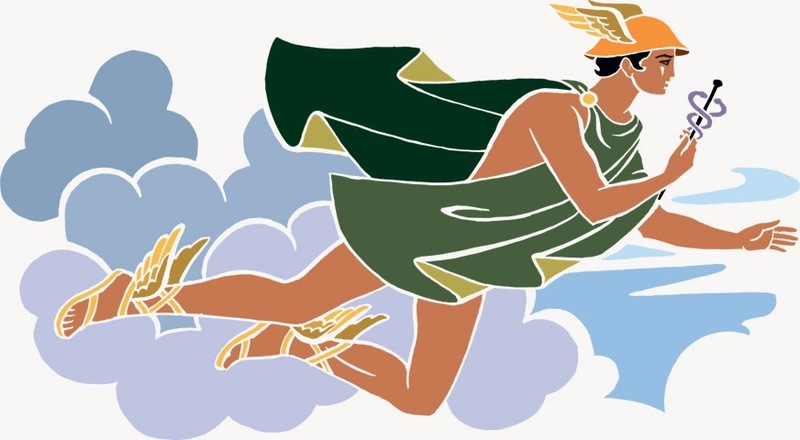 Mercury retraces into Aquarius at 10:30 pm and it might be easier to step back and get perspective if things are dramatic or confusing these days. Today's color is purple. The Moon is Full tomorrow to be exact. In Leo, this is a good Full Moon for a party or reunion. The Moon and Uranus in Aries light things up today, with unexpected visitors or news, flashes of inspiration or insight, and excitement. With the Moon close to Full this could go to extreme. Some people could feel overwhelmed while others enjoy the show in all it's drama or glory. Leo Moon rules kids and they may be on the wild side today with an abundance of energy so make plans to channel that into constructive and creative things. In general, we'll be happier staying busy and socially connected. Be with people. Learn and be inspired. Today's color is orange. The Moon is Full at 6:52 pm on Valentine's Day. It's a very generous, giving, heart centered day for the traditional celebration of love. Many people don't care much for Valentine's Day, but regardless, it's a better day to be with people than to be isolated, astrologically speaking. Get in on some kind of social event even if it's anti Valentines or a singles celebration. Leo rules the heart! And the heart is not only romance, it's also compassion and commitment. Put your heart and soul into something today. Opposite the Moon we have Mercury retrograde, so communicate with care and thought. misunderstandings are much too likely right now. The Sun and Mars add to the social, outgoing vibe. Dress to impress even if it's just to feel at your own personal best. There's fire and fun amidst Full Moon eventfulness. The key is not to go to the extreme and not to be misunderstood. Promises are not recommended during Mercury retrograde. Have conversations, personal or business, without making things super official. Save that for March. Today's color is gold. The Sun meets Mercury retrograde in Aquarius on a peak day for reconnecting with people from our pasts. Long overdue things will be expressed. It's a chance to clear the air. Always during the retrograde make sure your words are well chosen and true. Don't engage in gossip or bad mouthing. Word will get around as Aquarius is the sign of community. The Moon in Virgo adds a sensible air to the day, good for getting projects done or in progress again. Today's color is navy blue. The Moon waning in Virgo is a good clean up time! Be careful about donating since you might change your mind, but do sort things out and do the donations when Mercury is direct March 1st if you have even a shred of uncertainty. Mercury and Mars are in harmony for more reuniting. Fair solutions and getting along better are some of the potential effects. It's a very social day especially for going back to places or seeing people you don't often get together with. Today's color is black. What Will this Mercury Retrograde Be Like? Every Mercury retrograde has it's own themes or qualities. They are not all alike! Though some common occurrences include miscommunication, technical difficulties, revisiting people and places, and rescheduling, the signs of Mercury's retrograde time and the aspects with other planets influence the tone. The next few weeks we experience the retrograde in Pisces and Aquarius. Pisces' creative and emotional qualities define the first week, until the 12th. Returning to creative projects and ideas is a great plan and you might just naturally gravitate back to art, journaling, making music, or anything that involves self expression and channeling imagination and emotions. You could also find yourself reverting to old thought patterns that are self deprecating or to relationships that lack appropriate boundaries. Consider the difference between love/forgiveness and being taken advantage of or exposing yourself to repeated pain. You can love and not allow that person in your life. You can forgive and keep good boundaries and never return to the way things were. If anything, we might soften boundaries and have a recurrence of hurt or disappointment. If this sounds like you, stay strong. On the 12th, Mercury is back to Aquarius with a more logical detached influence. This is helpful if the Pisces part set you back on a path you'd like to change. More of the technical effects of Mercury retrograde kick in. Systems and science, cell phones and computers, appliances and future plans tend to be repaired, reconsidered or put on hold. It is a good time to experiment with something that MIGHT work as long as you're not so attached to one outcome you can't let go or change your plan later. Peaks in the retrograde occur on the 19th as Mercury squares Saturn. Old business will be persistent if not taken care of. This is a stubborn aspect, insistent on resolution but unyielding about how to do so. Aquarius is logical and forward thinking and Scorpio, where Saturn is, is emotional and has trouble letting go. It's not a piece of cake to find the common ground here. Being willing to work through things as a process and let go of something you felt was non-negotiable is the only way to make any progress here and now. The stubborn streak can be personal, but with Aquarius as the sign of community, it might also be a group experience, like a project or set of rules or a plan no one can fully agree on. I feel like this is the strongest influence of the retrograde, so the question is what feeling are you attached to that you could release and replace with a solution and the freedom to move on? It could be a grudge or an old image of yourself or a relationship gone by. Mercury in Aquarius makes it easier to step back and be objective with yourself in order to set up something new after the 28th. And that is when the retrograde ends! Yoga Pose a day in February. Poses based on the astrology of the week with easy steps and photos to follow! Try it and share it! Some of you will say "here we go again!" And you'll be right on more than one count. Squares between Aries Moon and the monthly conjunction with Uranus make for fire, conflict, asserting opinions and willfulness. On the plus side, a turn of events you had little idea about could be very positive and energizing. Family and home related matters, business and authority figures at work, and deep feelings or memories are all activated. Venus is now direct and working through relationship disagreements or plain old decisions can be very productive and satisfying. Tonight is active with love, romance, and possible debates between partners too, all in the name of progress. Today's color is red. The Aries Moon is churning in the wake of last Thursday's New Moon and approaching Mercury retrograde time in Pisces/Aquarius. Be aware that starts and agreements now will be things you go over and maybe revise later. The urge to get going on things may be too strong to resist and in some cases will be a good thing. Aries Moon is motivating, so don't lose the moment. Make things reversible or easy to rework. The Sun from Aquarius adds to confidence and feelings of certainty. Mars opposite the Moon adds to differences. Road blocks may not stop the action though. We'll find ways to go around or run over what's in the way. Do this as judiciously as possible. The void of course Moon begins at 6:14 pm ET and tonight is prone to debate or conflicts. Outspoken, reactive or too quick to judge may be results of this opposition. Try to take it easy in the evening especially. Today's color is yellow. The Moon moves to Taurus at 4:47 am ET and aligns with both Neptune in Pisces and Mercury about to be retrograde in Pisces. By now the past is influencing in the form of returning visitors to our lives, old business, emotions based more in the past than in the present time, and more. While Taurus Moon puts emphasis on traits like perseverance and longevity, living truly in the moment might be best. Getting set on certain outcomes of our actions could be disappointing this close to Mercury retrograde. Taking realistic, sure steps to goals is favored. The word illusion is relevant today. Try to break through that and see people, situations, and the past with clarity. Garden, cook, clean, invest wisely, and stay directly involved rather than delegate. Today's color is green. Mercury starts the retrograde in Pisces: sensitive, creative, tuned into emotions and intuitions. Do be compassionate while keeping strong boundaries. Going back into an old, less than healthy situation could be a trend. If you know how it's going to turn out, and it's not a pretty vision, then stay away. People who need a lot may resurface along with past patterns. You can break those patterns by making different decisions which may include saying no. Still we can be empathetic and forgiving and in some cases that will be a beautiful thing. You know which way it will go. Trust that feeling. Mercury is about stories and a retrograde can be a chance to rewrite one. The Moon opposes Saturn and some things may come across harshly today. Choose words well with Mercury retrograde which is official at 4:43 pm ET. Late night void of course Moon adds to communication confusion at 11:49 pm until after 1 pm ET Friday. If in any doubt, do very little and say nothing that could be misinterpreted. And don't even be tempted to air things out by email or phone. Today's color is white. The Moon is void of course until 1:44 pm ET and Mercury is retrograde in a mutable sign. Decisions may be best left until after that time. The earlier hours could bring scattered energy or miscommunication. Another effect is relaxation, which is great is not responsible for much until later in the day. Chill out, absolutely. Respond to messages cautiously with plenty of thought. The Moon moves to Gemini at 1:44 pm and squares Mercury newly retrograde in Pisces. This is a good time not to believe everything you hear. Gossip, misinformation and misunderstandings are likely. The upside is versatile thinking and ability to adapt. Today's color is light blue. The nature of Mercury retrograde is unpredictable, and today concentrates that theme as the Moon and Uranus act together. Changes, seemingly fated events, and returns to past business are all likely. Gemini Moon time sometimes adds to mental chatter and distraction. It might be hard to "think straight". It's a great day for meditation, naps, flexible schedules, social fun, writing and other creative pastimes. Today's color is yellow. Fire and air meet as the Moon is fueled by Mars in Libra and the Sun in Aquarius. All of this action is in the air signs, meaning intellect, ideas, and the brain in general is fired up. This is a day for social times, meeting new people and connecting with old friends or family particularly as Mercury is retrograde. Mixed feelings is one effect of this. Mainly we'll gather, connect, work as teams or rally for other people (and teams!). Certain work activities like writing, inventive projects and collaborations are favored. Today's color is blue.